This story gets a 4.6 out of 5 stars simply because I had a difficult time putting it down. It started out with a little too much introspection - I thought - but then an intense action segment that totally hooked me. I don't like what happens to Sophie in this book, but when I read the author's thoughts on it (after the story), it makes sense to me what she's doing. I'm usually not a huge fan of historical fiction from this era, but the characters were so well-crafted that I forgot I was in the Russia of old most of the time. I didn't find the romantic element in the story believable, but I'm not one of those "love at first sight" believers. Too much time in a marriage, I guess, and I know that TRUE love takes a whole lot more work and doesn't have half as many heart-pounding moments. But no one wants to read about that. Also, the romantic element was only a tool to push Sophie away from her innocence and toward becoming Catherine (the Great). It is tagged as a young adult story, but I don't know if I would recommend it to any but the most mature of high school students. And if you want a HEA ending, you won't find it here. When I finished, I was quick to check Amazon for information about the sequel (July 2015), and I'll be adding it to my TBR list here. Isn't that the biggest tell about how much I enjoyed a book? 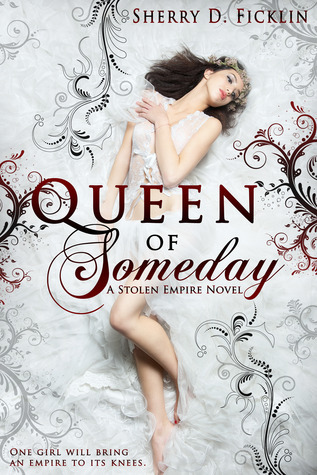 Sign into Goodreads to see if any of your friends have read Queen of Someday. 4.96% "Started off with a bang - and I do mean that literally. I'm not always a fan of historical fiction, but this one has me primed for more."